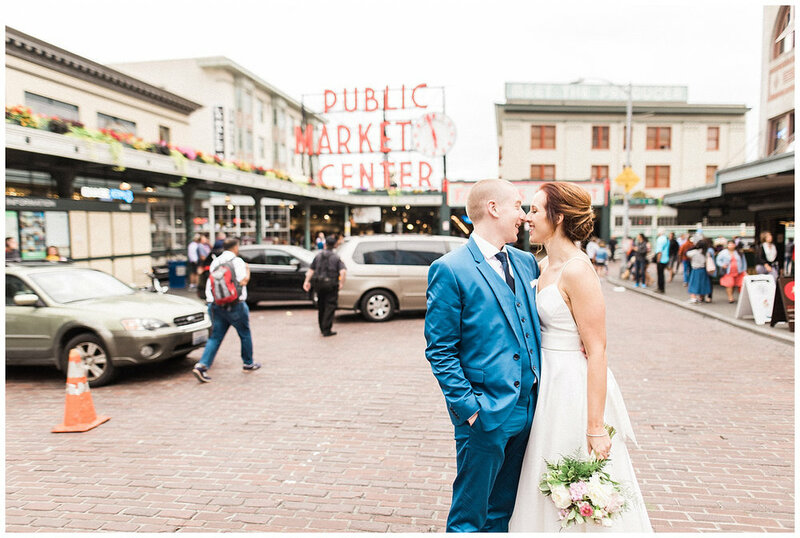 Ashley & John fell in love with Seattle during a visit the previous year and knew they wanted to tie the knot here. 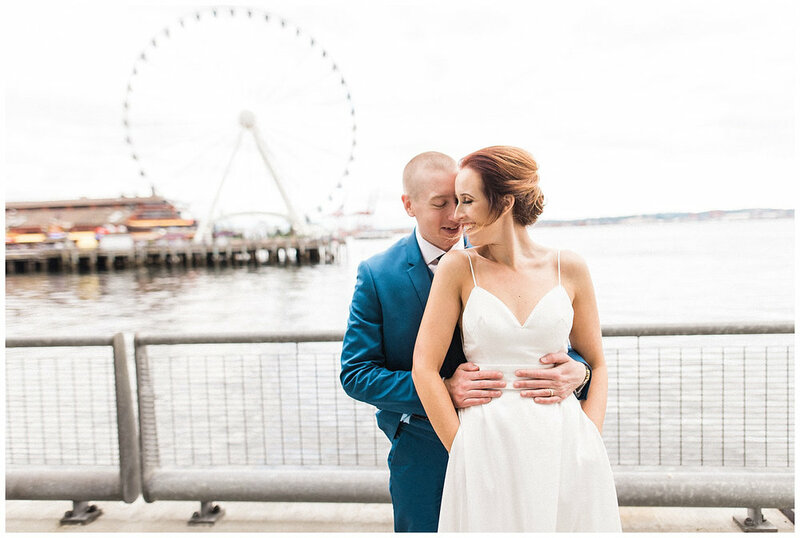 They both felt that a long weekend in the emerald city in a charming air bnb was just the type of wedding they wanted. 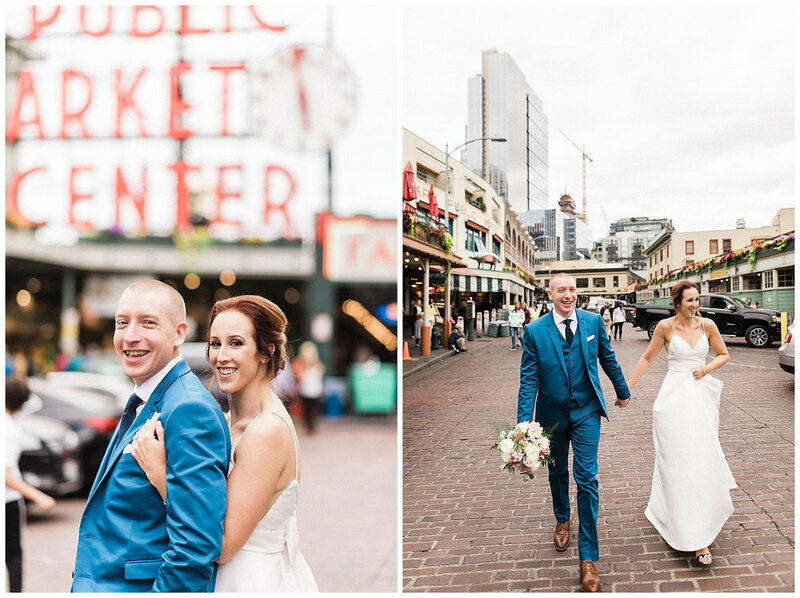 We visited all the iconic spots of Seattle including the rooftop of the courthouse where they exchanged vows, pike place market, the great wheel on pier 66, pioneer square and gasworks park. 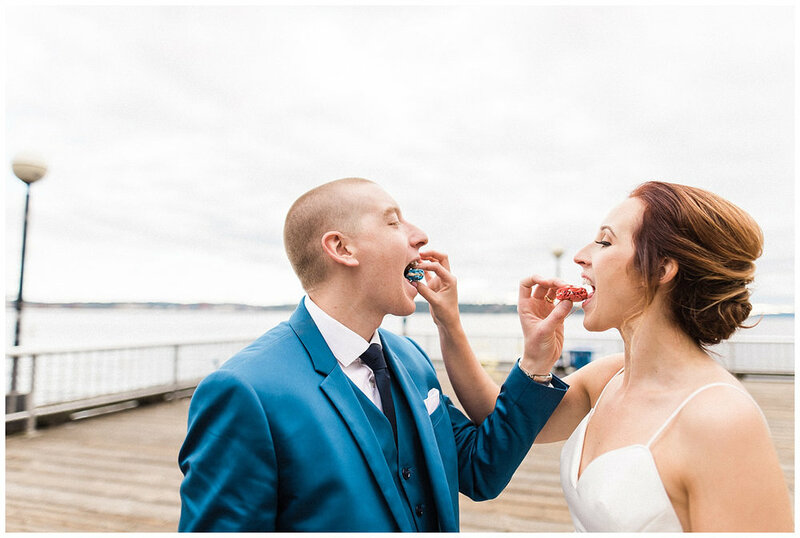 In liu of a cake, the couple celebrated with their favorite treat. 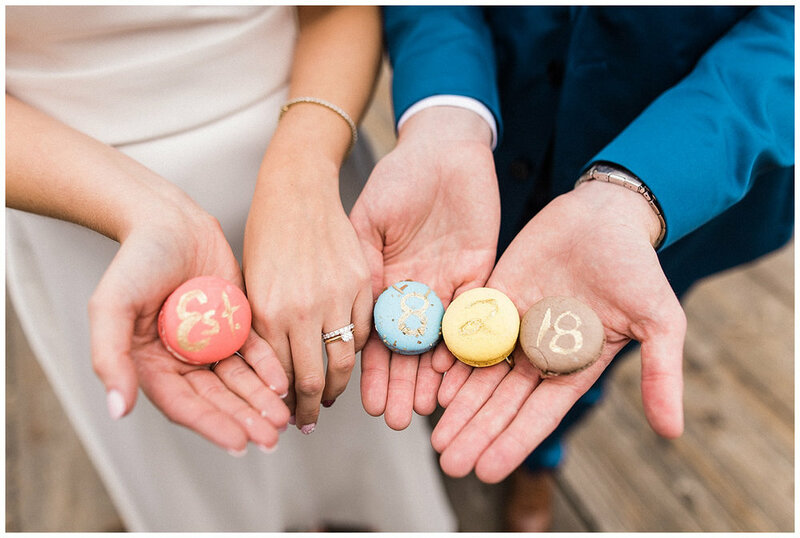 Macrons with their wedding date artfully written in gold paint. 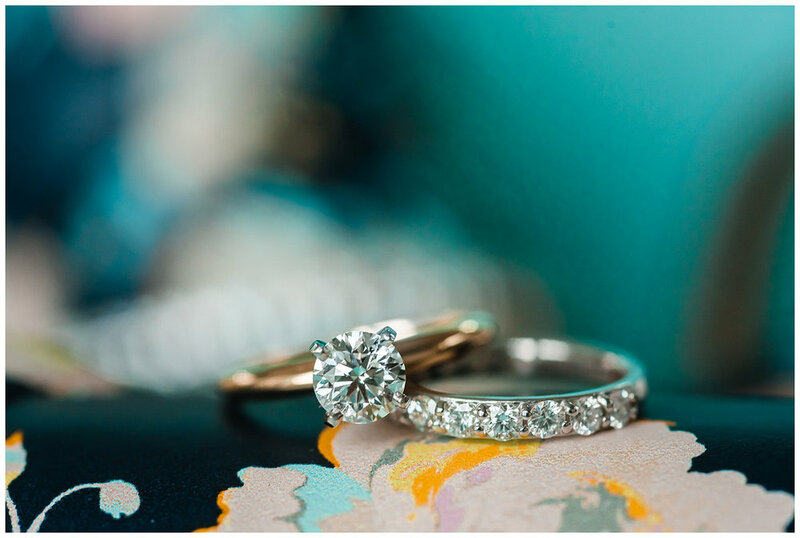 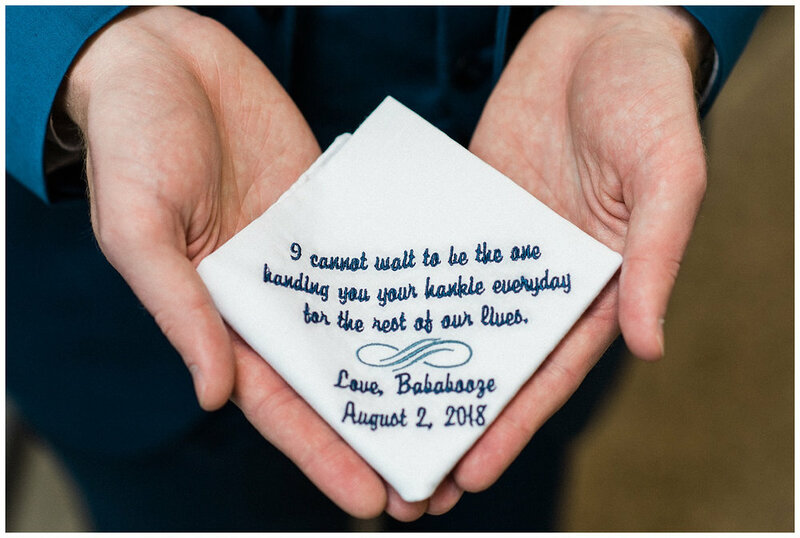 B. Jones Photography, Seattle Wedding Photography, Hotel Deca, Marsala, Copper, Sprinkled in Seattle, Bella Fiori, Cicada Bridal, Honey Crumb Cake Studio, Elizabeth Marie Makeup, Seattle, Seattle Wedding Photographer.